The general consensus by attendees and contributors at the HAI Heli Expo 2018 held in Las Vegas from February 27th to March 1st, was one of positivity and the turnaround of the market. Some small signs that the industry was looking up and one major event in Washington have made it evident we can expect a significant increase in the future. Everyone can agree that business looks promising after HAI Heli Expo 2018. Over 17 thousand attendees perused the exhibition booths of 700+ contributors. In several statements made at the expo to Rotor Magazine, the top contributors are optimistic about the future of the helicopter industry (Jen Boyer. 2018. Rotor Magazine,”Business Bounces Back at HAI Heli Expo 2018″, Spring edition). Sikorsky is one manufacturer that would be affected. Many of their models are used predominantly for the oil and natural gas industry. Dana Fiatarone, vice president of commercial systems and services at Sikorsky, seems optimistic as well. She stated that “exploration and leasing” in the oil industry is on a slow incline since the increase of oil prices and the access to newly released areas of the Gulf of Mexico. Manufacturer Bell has also noticed an increase in interest in the Bell 525 Relentless due to the positive changes in the oil industry. 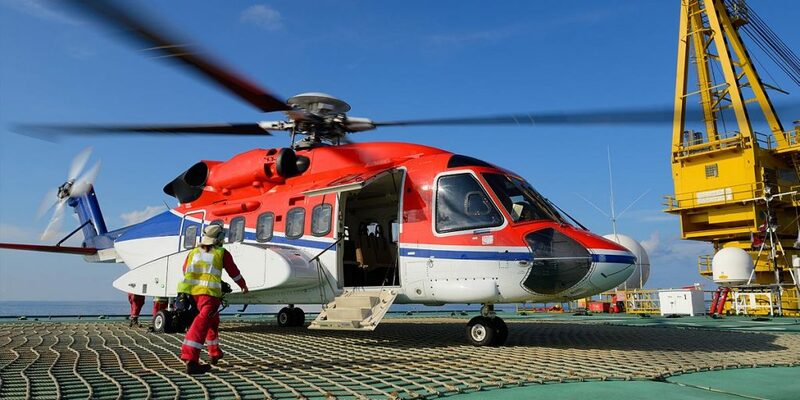 Chuck Evans, director of marketing at Bell, feels that with the increase of inquiries on the Relentless, can be attributed with interest from offshore operators. 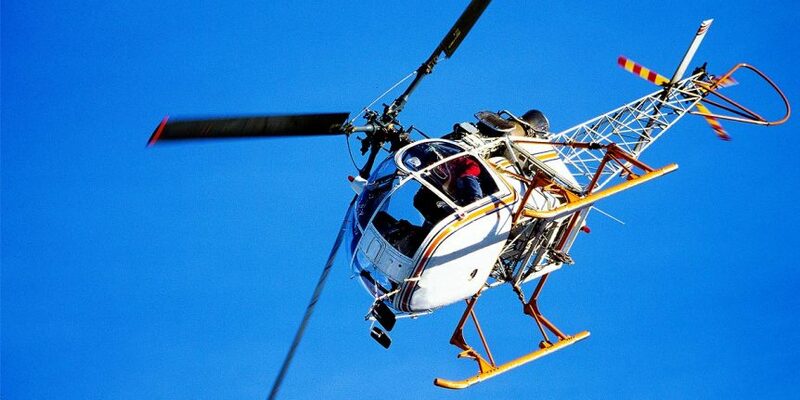 The recovering Oil and Gas Industries are a huge boost to the Helicopter Industry. With the effect of the recent downturn, many companies responded by implementing changes to their services to maintain market share and growth as the market recovers. According to Nicolas Chabée, vice president of helicopter engine marketing and sales at Pratt & Whitney Canada, the mindset that has been adopted by many in the industry is one of “permanent cost reduction” and by increasing the availability and productivity of aircraft it can be maintained moving forward. Many manufacturers have contributed new innovations in an effort to grow market share. From additional modifications, new aircraft, and improvements in safety as well as the mention of automated flights by Sikorsky President Dan Schultz, the floor was alive with excitement as many of the big names in rotorcraft unveiled their ideas. This interest along with the many orders these manufacturers received, prove the demand is still there, another tremendous sign that the market is alive and kicking. Newly mentioned innovations include Robinson’s modifications to the popular R-66 for external-loads and cargo hook capabilities increasing the general lift amount to bring the aircraft into the utility market. MD company president Lynn Tilton gave a demonstration in an effort to illustrate the importance of innovation in decreasing weight and increasing efficiency. She held her phone up to the audience to show that we can hold a computer in our hand, therefore there is no excuse why we cannot run a glass cockpit without 150 lbs of equipment in the back of a helicopter. “The success of every company comes down to innovation and evolution,” Ms.Tilton said. “MD has been steeped in this philosophy, and we are committed to getting lighter.” Dan Schultz of Sikorsky, highlighted the potential automation of the Black Hawk to make the aircraft single-pilot by removing the need of a first officer. Airbus also had its own announcements including the highly anticipated H160’s launch and engine manufacturers such as Pratt & Whitney Canada and Safran discussed the time saving and client support features of digital service and greater connectivity which would help to assist operators in knowing when unscheduled maintenance was needed. The positive outlook projected for the future was clear in the eyes of attendees and exhibitors. As said by Roberto Garavaglia, Sr. VP of strategy and competitive positioning at Leonardo, “There is definitely life in the market.” We are starting to see the turn around happen.